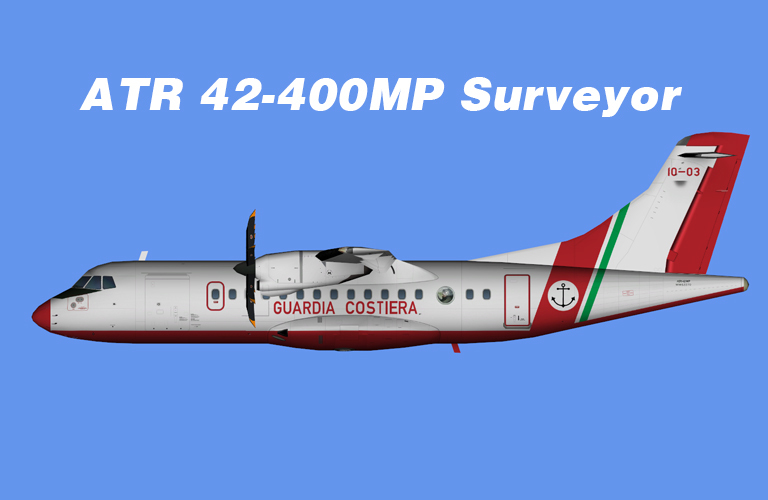 Guardia Costiera ATR 42-400MP Surveyor HD textures for the OSP ATR 42-400 base model. These are FS9 textures only. The OSP ATR 42-400 base model is required. It can be found at flightsim.com. Search for osp_atr_42_400_base.zip. These are FSX textures only. The OSP ATR 42-400 base model is required.